Elizabeth Loftus interview: False-memory research on eyewitnesses, child abuse recovered memories. 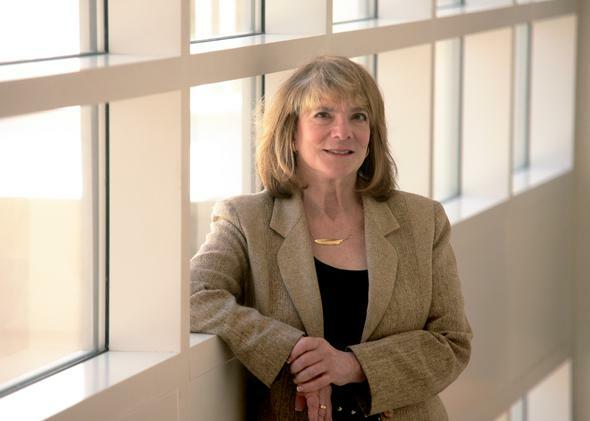 An interview with false-memory expert Elizabeth Loftus. University of California–Irvine psychologist and law professor Elizabeth Loftus can make you remember things you never experienced. From repressed memories to faulty eyewitness testimony, psychologist Elizabeth Loftus of the University of California–Irvine, has made her name working on false memory. She tells Alison George how recollections can be conjured up, and how this process could even be used in therapy. Alison George: You study the fallibility of memories. Are we all prone to making things up? Elizabeth Loftus: We all have memories that are malleable and susceptible to being contaminated or supplemented in some way. AG: I hear you collect accounts of false memories. EL: Yes, mostly embarrassing mistakes that politicians have made. For example, Mitt Romney had a memory of being at the Golden Jubilee—an important festival in Michigan—and it turned out that the event occurred nine months before he was born. AG: How does this happen? What exactly is going on when we retrieve a memory? EL: When we remember something, we’re taking bits and pieces of experience—sometimes from different times and places—and bringing it all together to construct what might feel like a recollection but is actually a construction. The process of calling it into conscious awareness can change it, and now you’re storing something that’s different. We all do this, for example, by inadvertently adopting a story we’ve heard—like Romney did. AG: How did you end up studying false memories? EL: Early in my career, I had done some very theoretical studies of memory, and after that I wanted to [do] work that had more obvious practical uses. The memory of witnesses to crimes and accidents was a natural place to go. In particular I looked at what happens when people are questioned about their experiences. I would ultimately see those questions as a means by which the memories got contaminated. AG: You’re known for debunking the idea of repressed memories. Why focus on them? EL: In the 1990s we began to see these recovered-memory cases. In the first big one, a man called George Franklin was on trial. His daughter claimed she had witnessed her father kill her best friend when she was 8 years old—but had only remembered this 20 years later. And that she had been raped by him and repressed that memory too. Franklin was convicted of the murder, and that started this repressed-memory ball rolling through the legal system. We began to see hundreds of cases where people were accusing others based on claims of repressed memory. That’s what first got me interested. AG: How did you study the process of creating false memories? EL: We needed a different paradigm for studying these types of recollections. I developed a method for creating “rich false memories” by using strong suggestion. The first such memory was about getting lost in a shopping mall as a child. AG: How susceptible are people to having these types of memories implanted? EL: Depending on the study, you might get as many as 50 percent of people falling for the suggestion and developing a complete or partial false memory. AG: Do you think it’s not possible to repress memories of traumatic events? EL: It is possible not to think about something for a long time, even something unpleasant that happened to you. But what’s been claimed in these repressed-memory cases is something, by definition, that’s too extreme to be explained by ordinary forgetting and remembering. They’re saying that in order to go on in life, you had to wall off this memory, because it would be too painful to live with. Then finally you go into therapy and crack through the repression barrier and out comes this pristine memory. But there really is no credible scientific support for that notion. AG: Is it the power of suggestion from a therapist that creates these “memories,” then? EL: Yes, a lot of the cases involve suggestive psychotherapy. But you don’t absolutely need the therapy. You can get suggestion from the culture and the environment, like when somebody turns on Oprah and sees one of these repressed-memory therapists talking, then believes this has happened to them. AG: What is the current focus of your research? EL: In 2003 I was sued after I published an exposé of a woman’s case that hinged on “repressed” memories, even though I had not named her. Once that was over, I started to focus on the repercussions of the types of false memories we all have. Once they take hold, do they have consequences down the road? One way to look at that was to plant a false memory that might change your behavior—for example, that you got sick eating a particular food. AG: How do you plant these memories? EL: We use a “false feedback” technique. We gather a whole bunch of data from you, about your personality, thoughts about different foods, all kinds of things. Later, we hand you this computerized profile, which reveals certain things that probably happened when you were a child. In the middle of the list is, say, that you got sick eating strawberry ice cream. We give you false feedback about your data, and then encourage you to elaborate and imagine. Later we ascertain whether you have a belief that it happened to you. Then we offer you a choice from all these different foods. In that example we found that participants didn’t want strawberry ice cream as much. Later studies have shown that if you plant a false memory about a certain food, when you offer people that food, they don’t eat as much of it. AG: This works with alcohol too? EL: Yes. We did a similar kind of false-feedback study with vodka. If we make people believe that before the age of 16 they got sick drinking vodka, they don’t want to drink as much vodka. AG: Could false memories be used for therapeutic purposes—like reducing alcohol consumption? EL: Absolutely, yes. I’ve had people say to me, do you think you could cure all kinds of problems with the false-memory technique? I hope other people will give it a try. AG: Isn’t the deliberate planting of false memories entering into ethically dubious territory? EL: Therapists probably can’t ethically do it, and they may have anti-deception provisions in their standards of conduct. But bad governments, bad people, they don’t have requirements of conduct. When we recently published a study about planting false memories among U.S. soldiers, I was worried we were putting out a recipe for how you can do horrible things to somebody and then wipe their memory away. AG: How did you conduct this study of U.S. soldiers? EL: A psychiatrist named Charles Morgan has been studying soldiers going through survival school, where they learn what it would be like if they were ever captured as prisoners of war. I had a chance to work with him, and we introduced misinformation to see if we could get these trained soldiers to misidentify their interrogator. Even with a traumatic event, highly trained soldiers can be misled too. AG: Is there any way to distinguish a false memory from a real one? EL: Without independent corroboration, little can be done to tell a false memory from a true one. AG: Could brain imaging one day be used to do this? EL: I collaborated on a brain imaging study in 2010, and the overwhelming conclusion we reached is that the neural patterns were very similar for true and false memories. We are a long way away from being able to look at somebody’s brain activity and reliably classify an authentic memory versus one that arose through some other process. AG: Do you think it’s important for people to realize how malleable their memory is? EL: My work has made me tolerant of memory mistakes by family and friends. You don’t have to call them lies. I think we could be generous and say maybe this is a false memory.